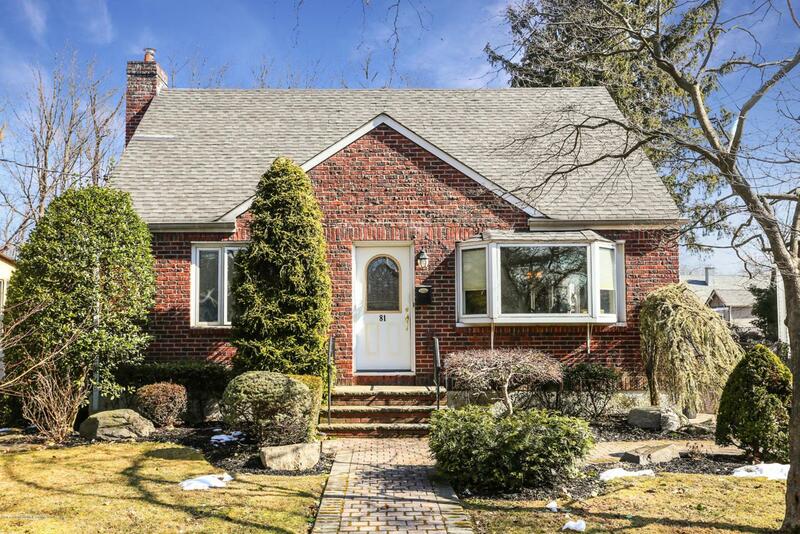 Updated brick Cape Cod home that sits on a beautiful, tree-lined street in the heart of New Dorp. Extra Large 50x138' landscaped lot with heated in ground pool and pavers. Central air conditioning.First floor has two bedrooms, full bath, formal living room, Hardwood floors, along with updated kitchen featuring stainless steel appliances and subzero fridge. Large formal dining room and family room with fireplace and high-hat lighting throughout, creates a bright spacious area for great entertaining. Second floor features two additional bedrooms and storage. There is also a full finished basement with 3/4 bath and laundry area. Please see photos and floor plans for more info. Listing provided courtesy of Gateway Arms Realty Corp..